Bucknell is the 2 seed. Three weeks ago, it looked like Bucknell would cruise to a Patriot League regular season championship. 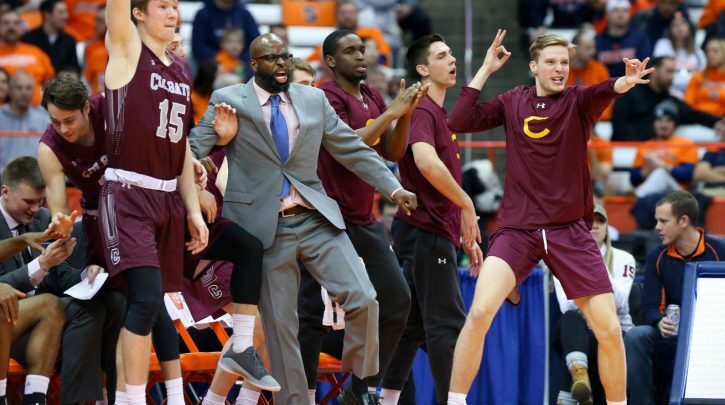 And while the Bison did earn a share of the conference title with a win over Army on Saturday, Colgate earned the 1 seed in the league tournament. 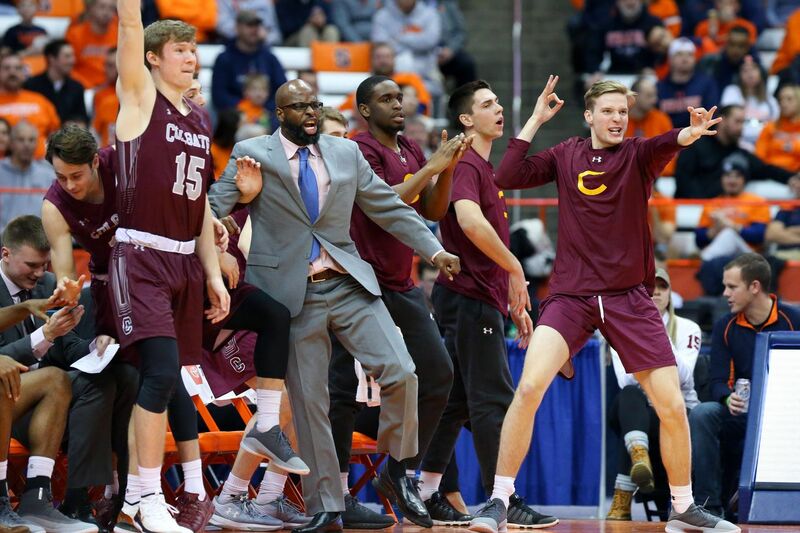 Colgate’s last loss was one month ago Saturday, as the Raiders capped their regular season with a 76-70 win over Lafayette. Bucknell ended the season with three losses in five games, forcing it to settle for the 2 seed and a potential road game in the Patriot League championship if seeds hold. The top six teams in the league received a first-round buy, leaving Loyola Md. to face Boston University, and Holy Cross to play Lafayette for the right to face the top two teams in the quarterfinals. Patriot League Network will stream both games. 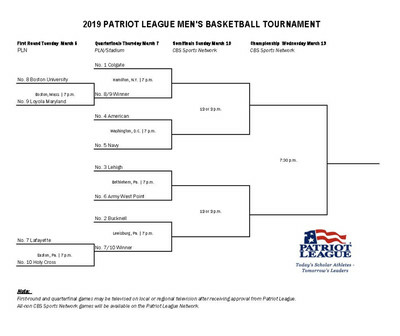 Patriot League Network will stream all four games. CBSSN will air both games. Game 7: No. 8/5/4 at No. 1/4/5, 12 p.m.
Game 8: No. 7/6/3 at No. 2/3/6, 2 p.m.